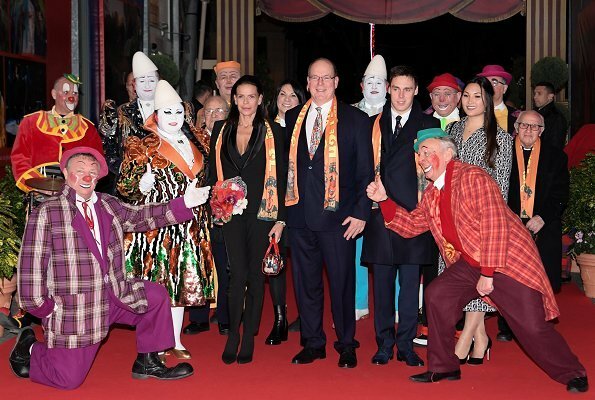 On January 17, 2019, Prince Albert II, Princess Stephanie, Louis Ducruet and his fiancée Marie Chevallier attended the opening ceremony of the 43rd Monte-Carlo International Circus Festival in Monaco. 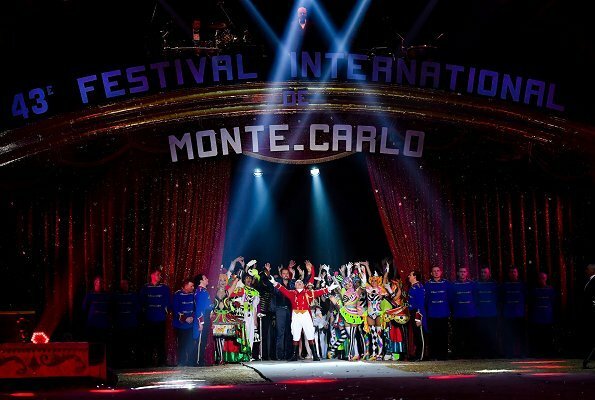 Since 1974, the International Circus Festival of Monte-Carlo is an annual festival held in Monaco. 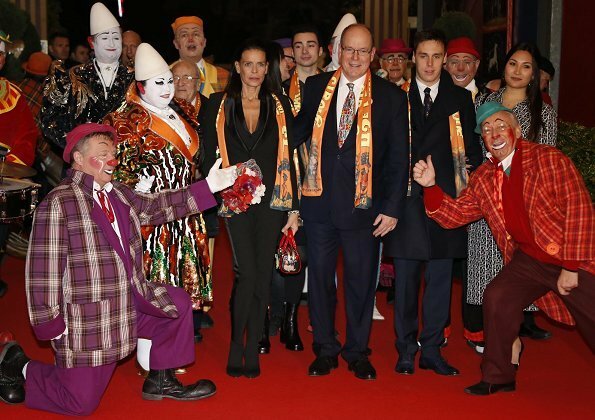 Princess Stéphanie is the President of the annual Monte-Carlo Circus Festival. 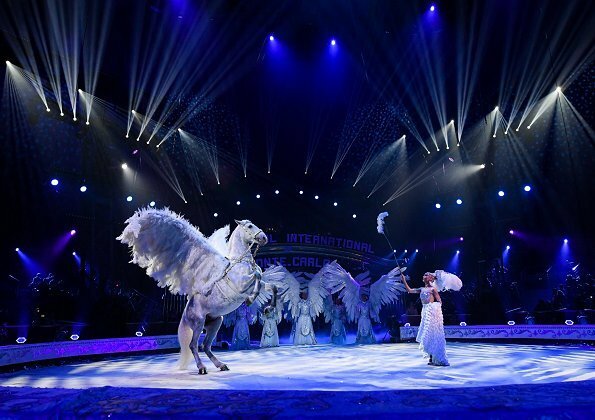 This year's event runs until January 27. Stephanie doesn't look well, she's lost a lot of weight. Nice to see Albert there doing his bit to show support for his sister. Hope we will see him again with the twins for the family show. Stephanie wears a lot of dark clothing - I can't help feeling that something a bit lighter or a splash of colour might lighten up the whole effect. Also, some soft feathering or a half fringe around her face might be a bit more youthful. I like Marie Chevallier's shirtdress - looking forward to seeing what kind of wedding dress she goes for. 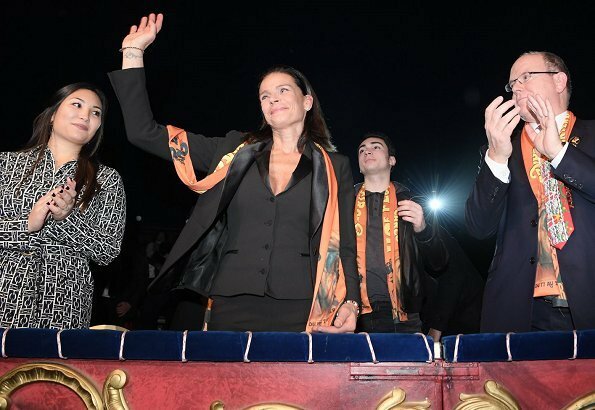 Quand on rentre dans cette famille , on doit passer par les représentations au cirque ! 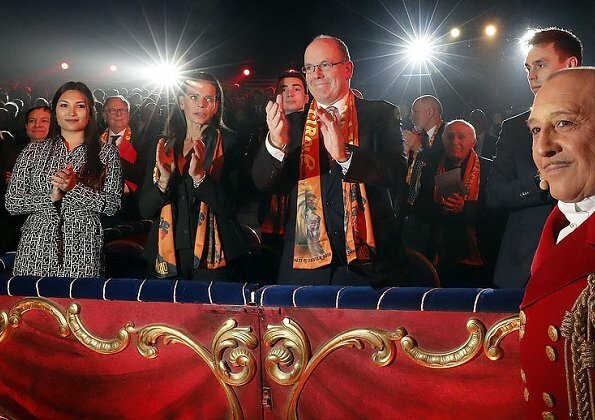 Sur le visage de Marie, je crois lire une interrogation "il reste combien de temps avant la fin du spectacle ? " 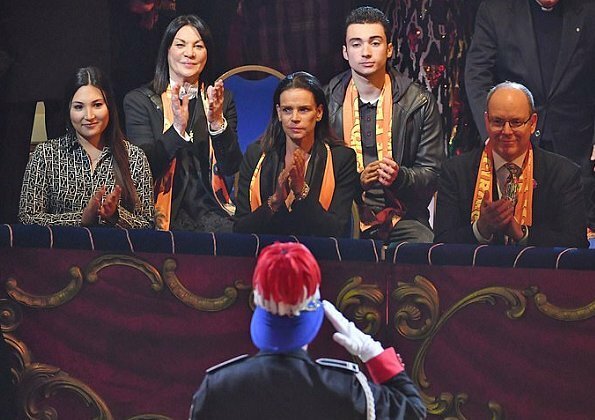 A big "No" for Princess Stephanie's decollete on that jacket, this simply does not look good. 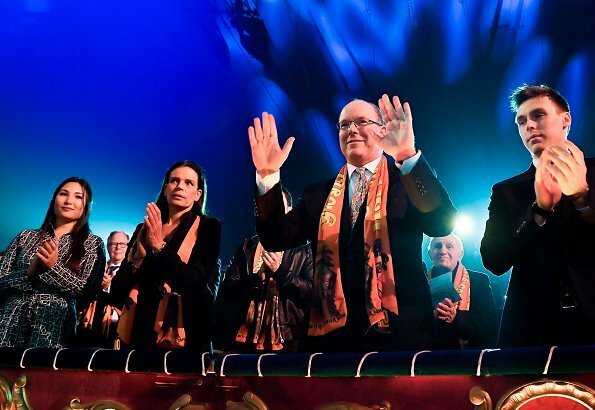 Prince Albert does his very best and is showing a friendly face.